New York, NY– Californiaâ€™s DevilDriver are hard at work recording their third album for Roadrunner Records at the Sonic Ranch studio outside El Paso, Texas. Producing and mixing the album is Jason Suecof, known for his great work with Trivium, Chimaira, God Forbid, and Bury Your Dead.Â Engineer Mark Lewis is helping the band in the studio as well.Â Their recording is almost done, and their last day in the studio is December 17th. Known for their uniquely sinister sound and dark subject matter, the band is keeping true to form with working song titles including â€œDamning the Heavens,â€ â€œCattle Call,â€ â€œThe Last Kind Wordsâ€ and â€œMonsters of the Deep.â€Â The album itself is still untitled. 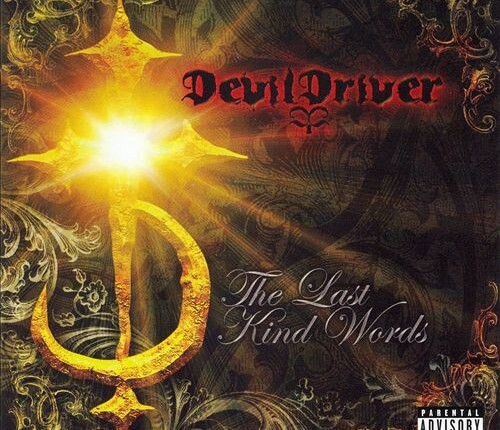 In 2003 DevilDriver released their self-titled debut album and participated in the 2004 Ozzfest tour. The Fury Of Our Makerâ€™s Hand was released in 2005 and was reissued in October as a special-edition version with 6 bonus tracks and a DVD. DevilDriver features Dez Fafara (vocals), John Boecklin (drums), Mike Spreitzer and Jeff Kendrick (guitar) and Jon Miller (bass). Keep your ears peeled for DevilDriverâ€™s third release with Roadrunner Records, due out June 2007.